According to The International Organization of Vine and Wine (OIV), Italy produces annually the most hectolitres of wine in the world. Amongst these 50,000 hectolitres, we find some of the world’s best wines. 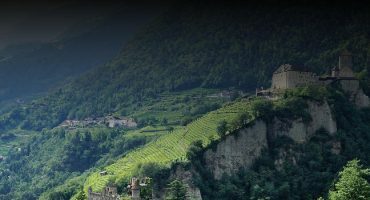 With over 300 grape varieties and 20 wine-producing regions in Italy; we are spoilt for choice with the range of outstanding quality wines available. Some of these are very famous, fashionable or just plain fancy, so it is easy to end up having to spend a small fortune when buying Italian wines. However, this does not have to be the case. This Italian wine has all the juiciness, elegance and deliciousness of an Amarone but without the hefty price tag. Persistent soft tannins balance the intense flavours and the silky texture adds smoothness to the wine. Black cherry and plum take centre stage on the palate and hints of spice shine through adding complexity. This Italian red wine is an absolute bargain at only £9.99, especially considering it won gold in the largest wine competition in Asia – the Asia Wine Trophy. Il Folle in Italian means “the mad one” and the picture of the jester on the front of this bottle perfectly describes this Grillo. Full of personality, flavour and freshness, this Italian wine is ideal for those sun-drenched days spent in a deck chair in your back garden, daydreaming about the Sicilian crystal blue waters. Exotic fruits excite the palate, accompanied by delicate floral notes that add complexity to this beautiful Italian wine that is great on its own or as an accompaniment to shellfish. The indigenous grape variety of the Piedmont region, Dolcetto, lives in the shadow of its bigger brother Nebbiolo, but it’s about time it stopped being overlooked. This Italian wine is produced from grapes grown on vines that are over 30 years old, giving it an intensely concentrated, fruity flavour with notes of liquorice and dried prunes. This gorgeous Italian wine is partly made in the Amarone style of drying out the grapes before fermentation in order to concentrate the flavours. The smooth and well-rounded tannins balance out this wine that would go perfectly with a range of full-flavoured foods, but we suggest traditional Italian dishes such as a rich tomato pasta dish with meatballs. Awarded 90 points in the Decanter Ratings. As you may or may not already know, Primitivo is the Italian name for the Zinfandel grape and is characteristically high in sugar (or alcohol when made into wine) and produces wild berry flavours. This full-bodied Italian wine shows both of these attributes, as well as a hint of spice and refreshing acidity that together with firm tannins help to create a well-balanced wine. Fiano grapes are native to the Puglia region in Southern Italy, and this particular vineyard has perfect clay soils rich in calcium that produce some outstanding quality grapes. This Italian beauty is highly aromatic with notes of tropical fruits that entice you into a sip. With a refreshing zing of acidity and fresh fruit aromas, this Italian wine certainly is li-vely! Intense ripe damson fruit fills the nose of this exquisite wine, together with hints of sweet spice and a definite smoky character. In the prestigious Decanter Awards in 2016, this wine was placed in the Top 100 Wines and won a Bronze medal, so for under a tenner this is an absolute must-have! Due to its fresh acidity, this Italian wine can even be slightly chilled down. Otherwise its intense plummy flavour goes excellently with a chunky cut of belly pork. P.S. 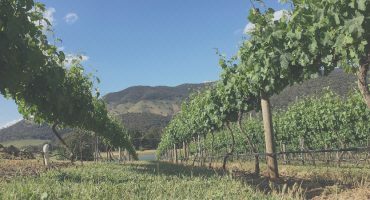 We've written about the use of Italian grapes in Australia in our New Wave Australia post here, and the Alpha Box & Dice Enigma is a great example of the Barbera grape in altogether different surroundings. This is a beautifully delicate Italian wine that has a nose of elegant yellow fruits, a slight nuttiness and tropical fruit flavours. The Parpinello vineyard is run by a fantastic father-son duo who take care of their family business which has already spanned three generations and which is sure to be passed down for many more in years to come. Fresh cherries dominate this excellent value for money red wine from Northeast Italy. Savoury notes such as tar, wood smoke and tobacco add a certain intrigue to this wine, whilst the fruitiness and ripe tannins make it easily quaffable. The rich dark-chocolatey finish leaves you wanting more. Now that we have enlightened you with these affordable, outstanding quality Italian wines under £15, you have no excuse whatsoever not to give them a try. Of course, this is not a finite list so you can also check out our full and extensive selection of handpicked Italian wines and see what takes your fancy... “Cin Cin!”. Fiano from Puglia, rich and fruity with a long finish.